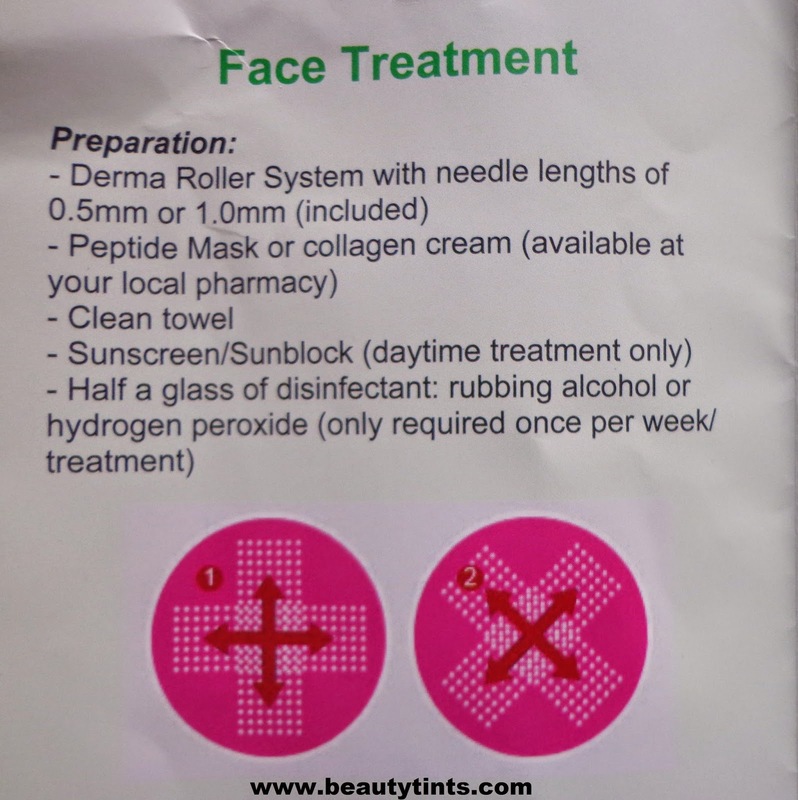 Sriz Beauty Blog: Derma Roller System Review!!! 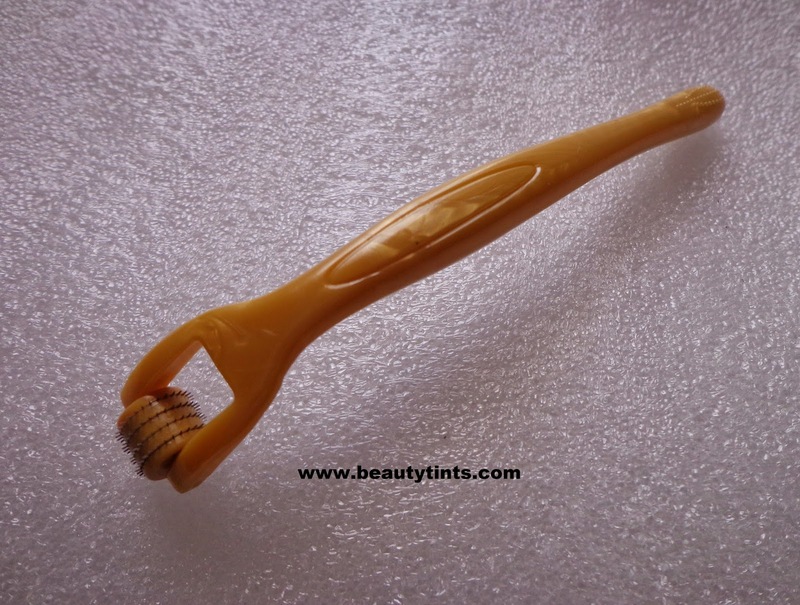 The derma roller is a hand-held device which has the ability to naturally stimulate collagen and elastin in the skin to promote healthier skin cells. Using it regularly, will treat common problems such as wrinkles, skin hyper pigmentation, scars (including acne scars),uneven skin, stretch marks and even hair loss. 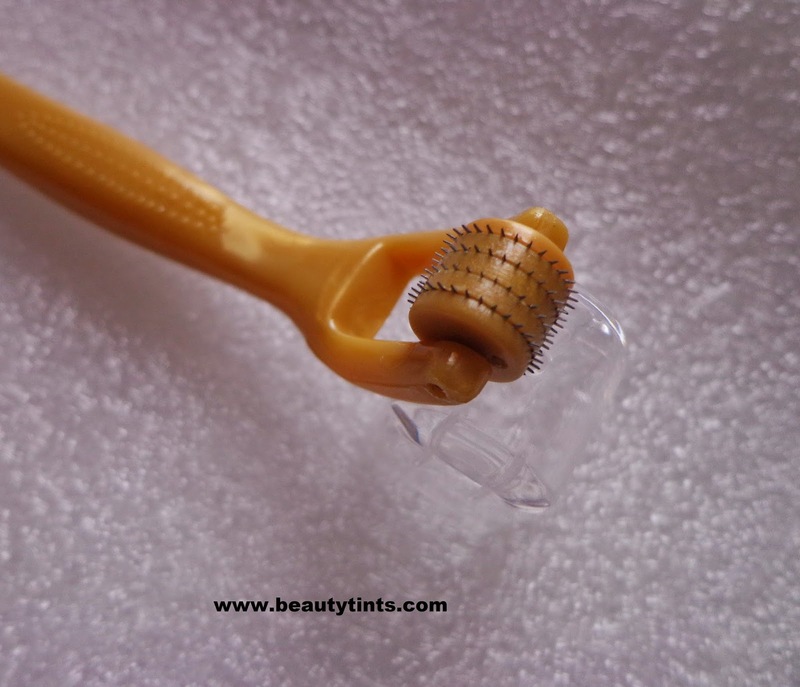 Today I am reviewing the Derma Roller System with 0.5mm needle size, which I am using from 1 month.Initially I felt very nervous to use it on the skin, but slowly after using it for a couple of times,I got used to it and now I love using it. 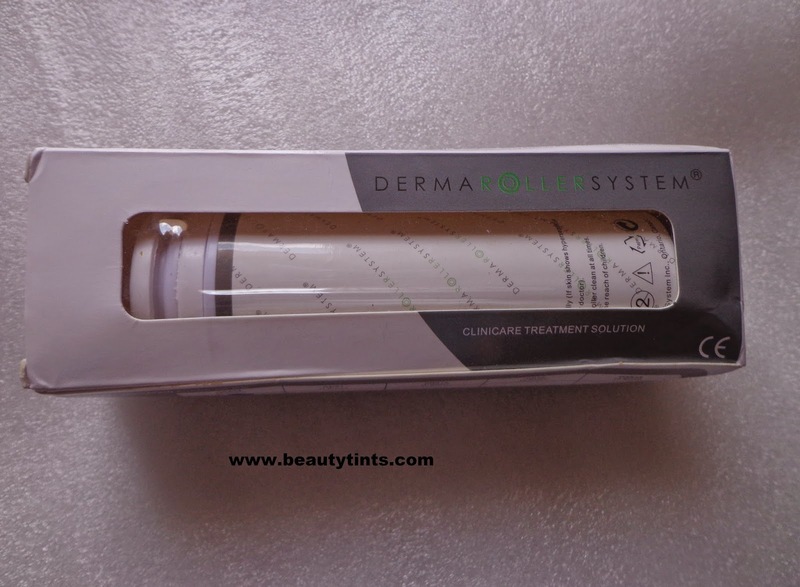 Packaging : It comes in a sturdy plastic cylindrical case with in a outer carton.The derma roller fits and stands perfectly into the thermacol inside the case.The needles of the derma roller are protected by a cap,which comes along with the pack. 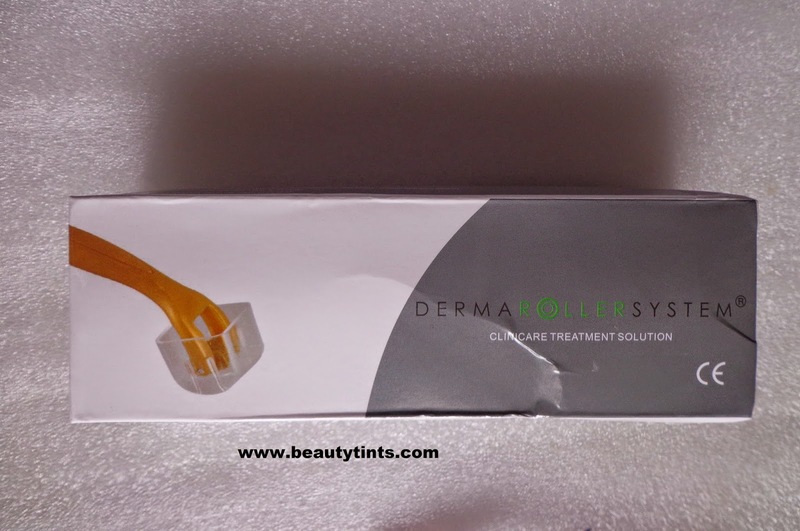 What the product Claims :The Derma Roller (a.k.a. 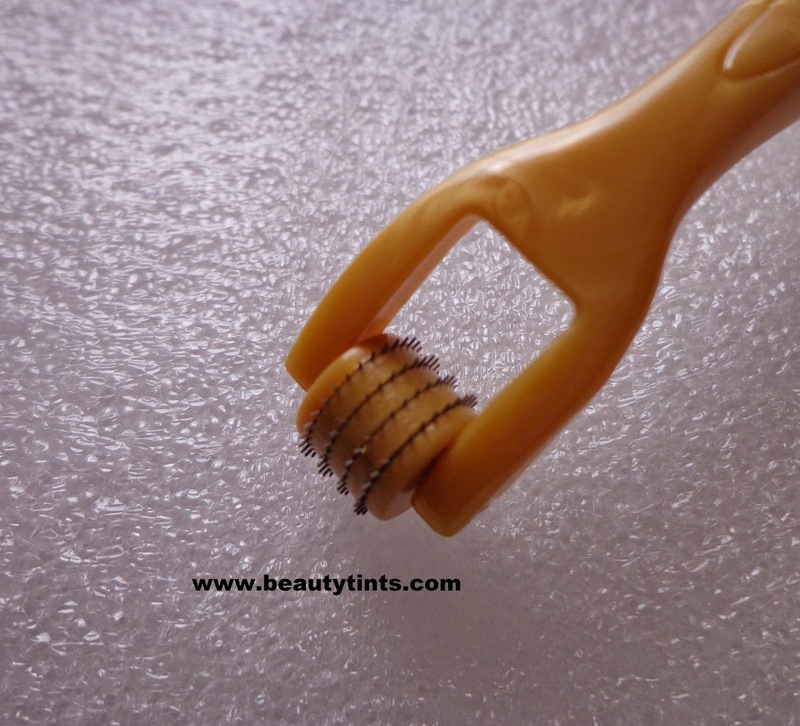 skin roller or microneedle roller) is a revolutionary hand-held device which has the ability to naturally stimulate collagen and elastin in the skin to promote healthier skin cells in the body. 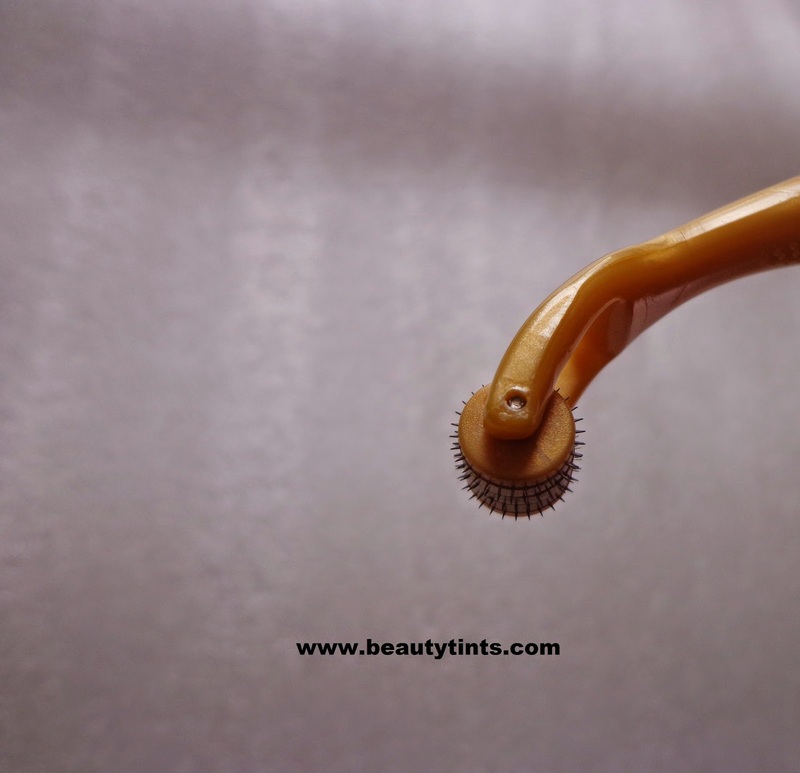 Using 200 extremely fine medical-grade needles, the dermaroller painlessly creates microchannels in your skin which trigger the body's natural healing process to create new, healthier tissue to replace the imperfections of older skin. By renewing your skin cells regularly, you will be able to treat common problems we experience as we age such as wrinkles, skin hyperpigmentation, scars (including acne scars), uneven skin, stretch marks (usually developed after pregnancy), hair loss or it can simply be used to create smoother skin. 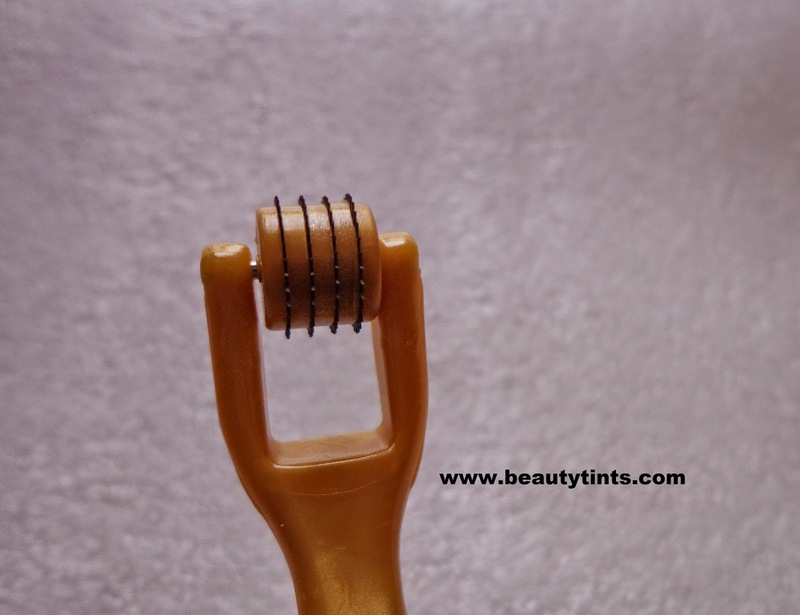 My Views On the Product : I have been using this derma roller with 0.5 mm needle on the black spots and mild hyper pigmentation on my forehead and cheeks from almost a month for now and I am loving the results. 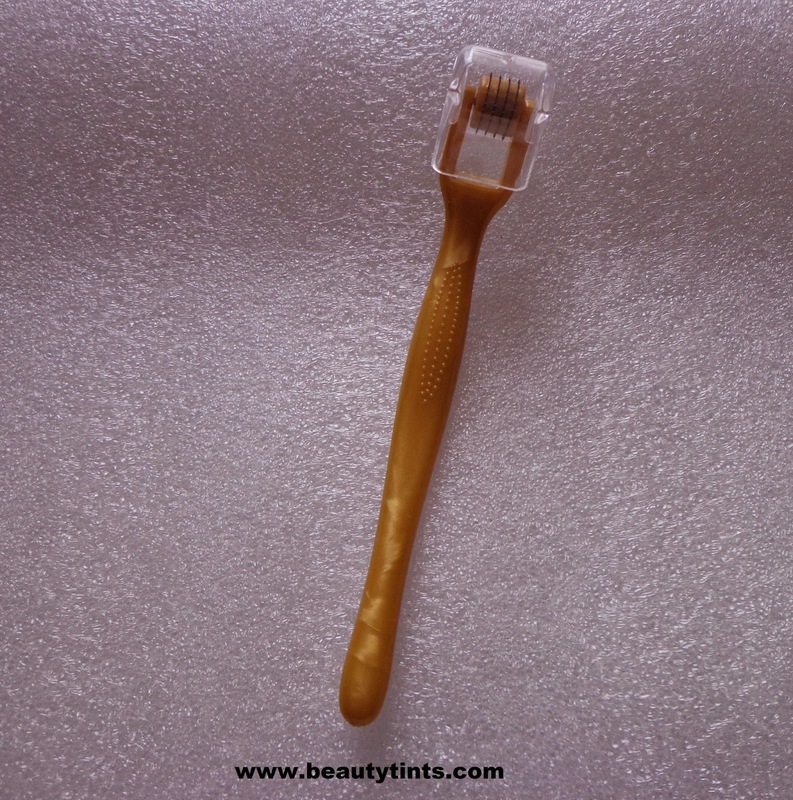 The quality of the needles and head is very good .We need to apply very light pressure while rolling on skin.Initially it gives a mild tingling sensation,but upon regular usage,you do not feel it. 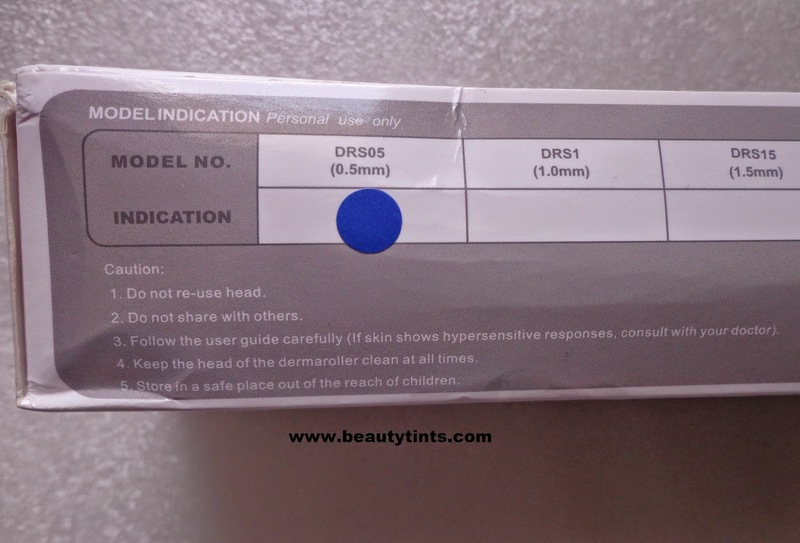 Method Of Using : First we need to wash and dry our hands.Then need to wash the area o be treated with soap and water.Then roll the derma roller gently over the area 4 times vertically,4 times horizontally and finally 4 times diagonally to the left and then to the right as shown in the picture below.Then you need to place the peptide mask on to the area and leave it for 10 mins. 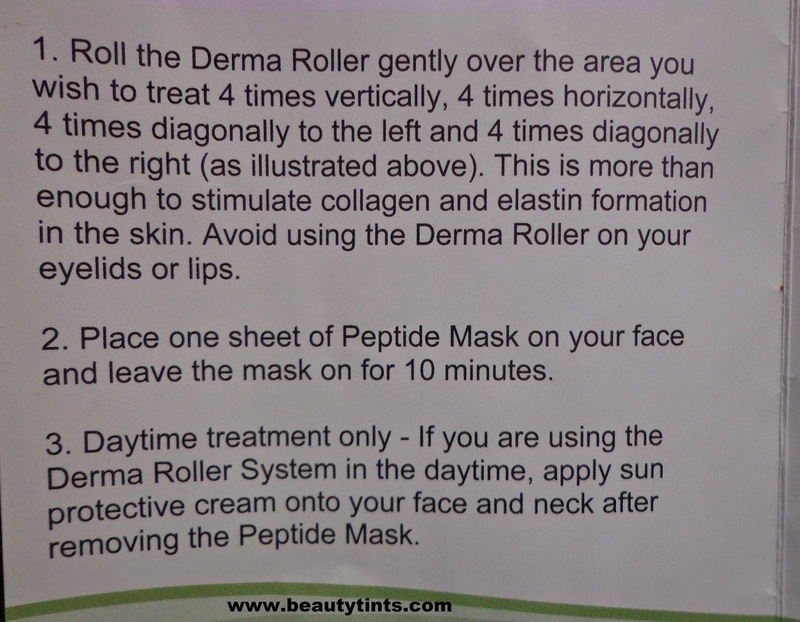 I am using it only for black spots and hyper-pigmentation,I am following it with Iraya De-pigmentation lepa instead of peptide-mask.After the treatment we need to disinfect the derma roller by placing it s head first in a disinfectant solution for 30 min - 1 hr and then need to dry it on a clean dry towel and then place it in the case. 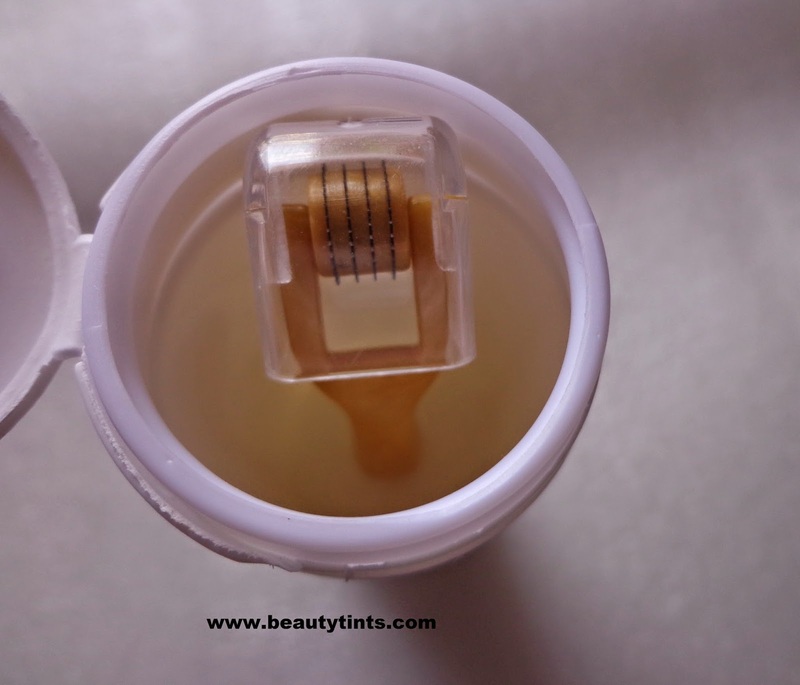 In one month only my mild hyper pigmentation has reduced to more than 75% and black spots up to 85%.It is very easy to use but extremely effective in giving the results.It is a bit highly priced but its totally worth as it gives amazing results easily and quickly at home.It can also be used on hair,I am planning to buy another one for my hair. 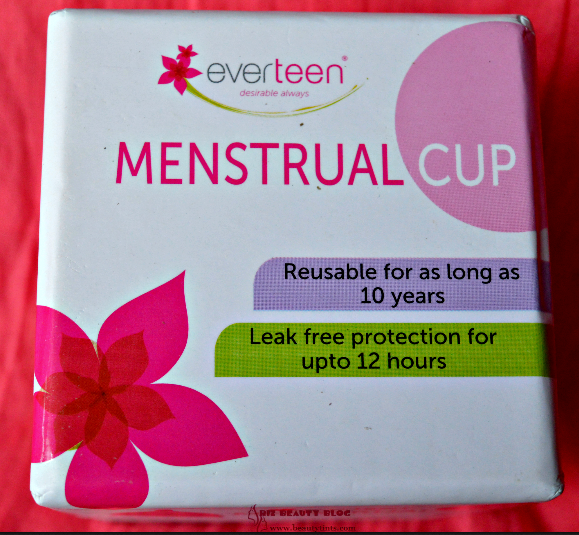 9) Comes with a protective case for the head. 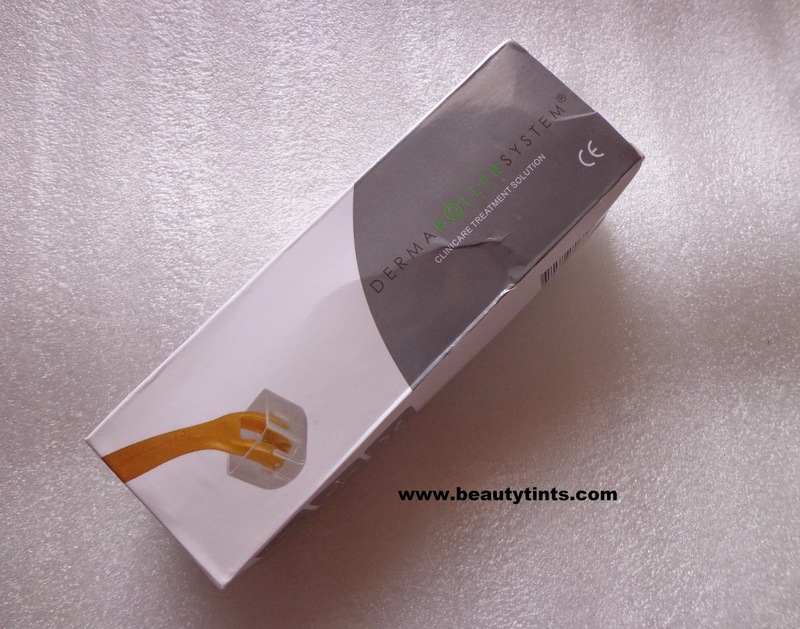 Final Conclusion about Derma Roller System Review!!! 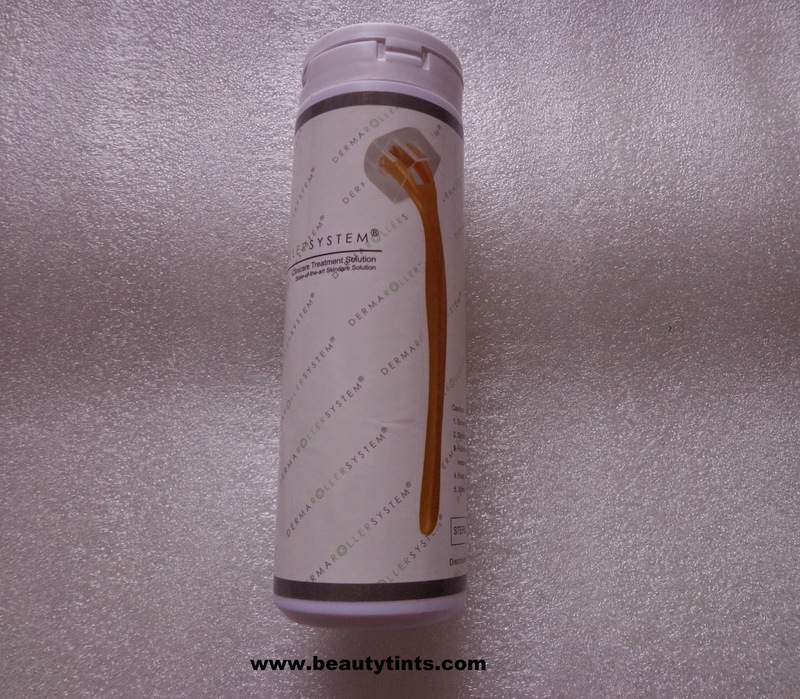 : Those who are looking for a better and quicker solution which can be done at the comfortability of home for wrinkles,black spots,hyper pigmentation,uneven skin and stretch marks,Derma Roller is the best choice.It can be used even for proper hair growth and reduction of hair fall.But you need to take proper care while using and also for maintenance!!! 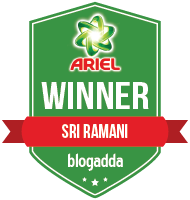 Disclaimer : This product was sent by the PR for Consideration.But this did not effect my review!